Water, Light, Composition, Colour: all ingredients for the perfect image. It is my opinion that we get a special kind of light, here in Australia. 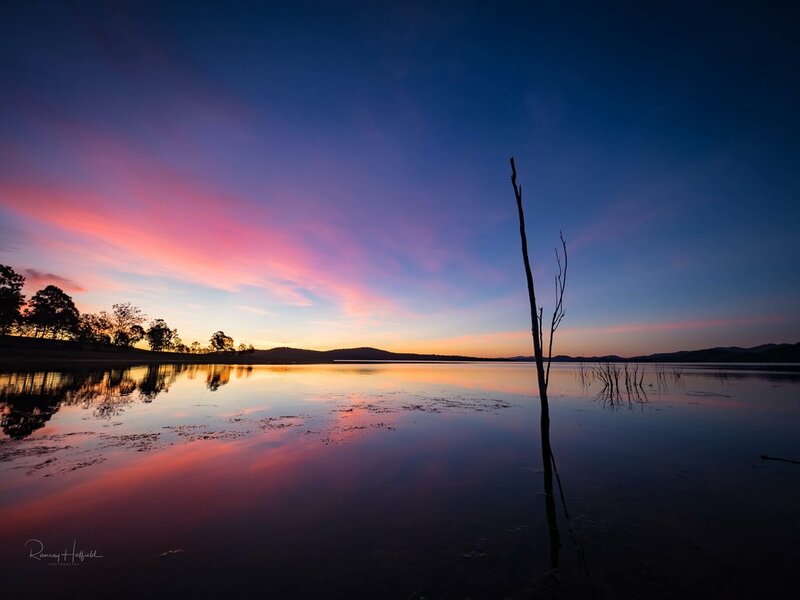 The Tranquil waters of Lake Moogerah gently lap about an old and slowly decaying log. Golden reflections bounce off the water. The setting sun lights up the sky with it's bronze hue. The sun sets behind a young gum tree. 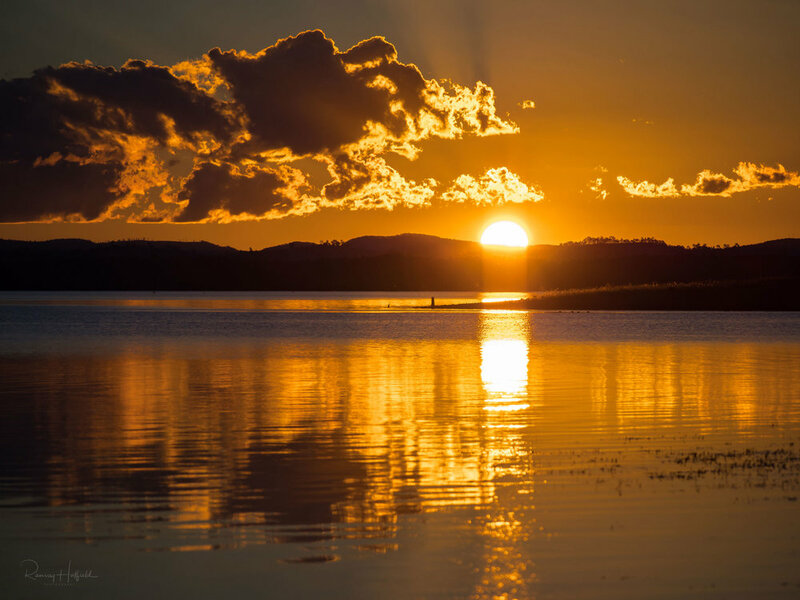 Taken at Lake Wivenhoe, Queensland Australia. One of my favourite times to create images; the brooding deep blue of dusk promises respite from the day's heat. The sun dips below the clouds as they blow overhead. The last light shimmers off the water. Nature has a way of blending the colours of gold and blue.